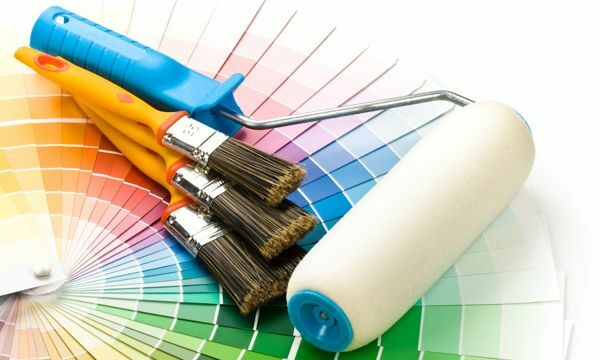 Once you are certain that home painting is the right thing for you, it should not be too hard to start the business as long as you keep yourself up-to-date and well informed. As it involves providing service rather than selling a product, a painting business is easily adjustable and can cope with potential crises that businesses encounter in their first days while fighting for their share of the market. The beginning of every business involves paperwork. Before you start you should be able to draft a business plan and have a basic idea of what your expense will be. This will come in handy if you end up asking for a bank loan. The first thing to do is to set up a legal entity and obtain a license to operate. The steps of this process vary depending on your location and the country’s regulations. The same goes for your insurance and the workplace injury policy. Consider the amounts other businesses have selected to charge for certain services. Also, take into an account the amount you would like to end up with after doing a certain job. Check how popular are certain services you offer and choose to charge more for the more popular ones and the ones that are harder to find and not done by as many businesses. When giving an estimate for a job, you need to know how much material you will use, how much time, manpower and what your profit margin should be. This is something that will grow easier with time and experience. Depending on your ambitions you will probably need to consider hiring an addition to your business and creating a team. You can choose to be a one-man-band and hire subcontractors occasionally when you need a bigger load of work done. On the other hand, you can choose to be free to always take more demanding jobs by employing several people and creating a team. When choosing people to work for you, bear in mind that you can use their skills to broaden the range of your services. Your team should be consisted of people with similar abilities and work ethics, but different specialties. Do not underestimate the power of marketing. There is no point in being the best at what you do if there is no one to hear about that and hire you. As you are setting up a smaller business, advertise locally. Create a website which can help more people get familiar with what you do. Do not forget to update your gallery section with your previous work. Advertise in the local media and make sure your customers are happy as they will do a lot of advertising for you. From their experience, Colour Life Sydney Painters recommend having a specialty and appealing to a certain target group. They claim that it is good to be able to do different kinds of things but that having a specialty is what makes you stand out from the crowd. The equipment needed depends on the services you’ve selected to offer to your customers. If you are uncertain about services that you do not personally provide, consult your team. Remember that sometimes investing into expensive equipment seems wasteful at the moment but can pay off in the long run by saving you some valuable time. A good decision would be is to purchase a vehicle which would allow you to transport the materials and equipment easily from one place to another and not damage your family car. You can save up by striking a deal on painting supplies with your local store. Perhaps they will be willing to offer a discount based on the amount or frequency of your visits. The progress of technology affects your business. Stay informed of the new things in the industry. Do not be afraid to inflict some additional cost by getting training. Learning new skills and learning how to operate new equipment will help you keep up and beat the competition. Not only that it is your piece of freedom, your business is both profitable and creative. You should learn to be patient and take baby steps. Before you know it, you will be standing tall and proud.